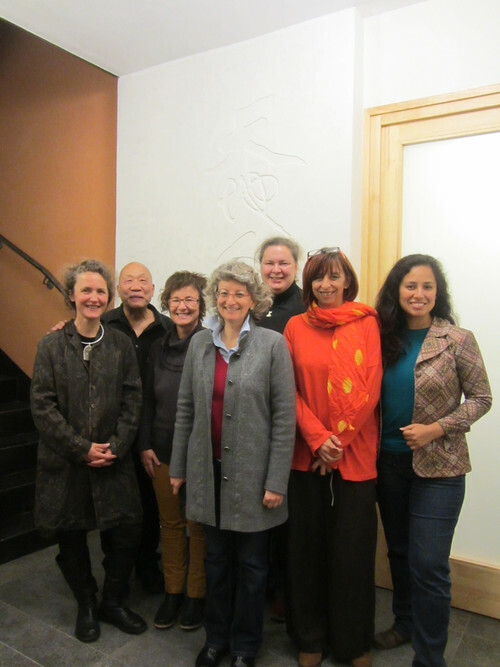 Some participants in the first master class workshop in our new school premise located at Weissensee Berlin, to the right is the door to our new architectural office (arqitektur) and teaching space for ECOFS, to the left is the staircase to a office and a residential unit above. 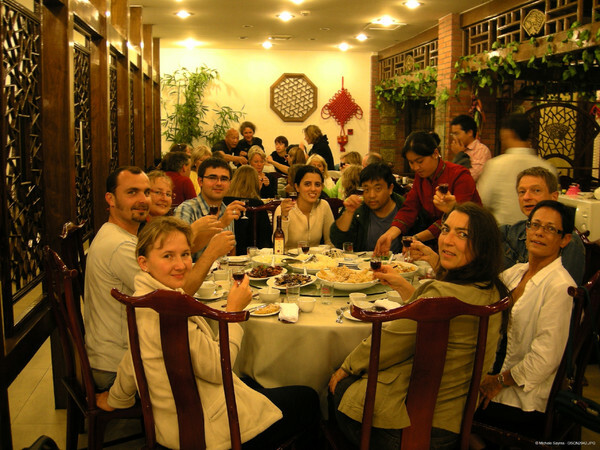 The Chinese characters behind says, "Tian Di Ren He" - Heaven, Earth and Human in Harmony, which succinctly expressed the aim of our feng shui architecture, teaching and consultations. 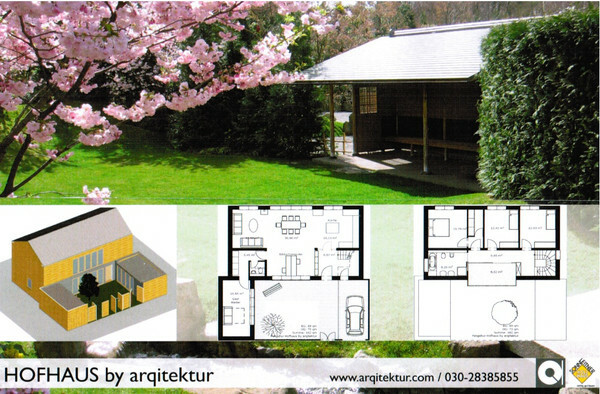 Here is a post card presentation showing one of the Feng Shui house that we are designing for a timber merchant and builder in Germany. It is based on the idea of a garden within a house rather than a house within a garden, but still be able to function efficiently within any German site context and building practices. 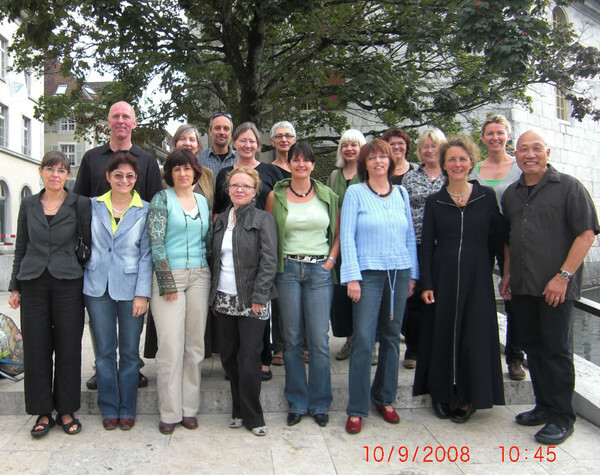 Group photo of Feng Shui matser workshop particpants from Solothurn Switzertlan in September 2008. 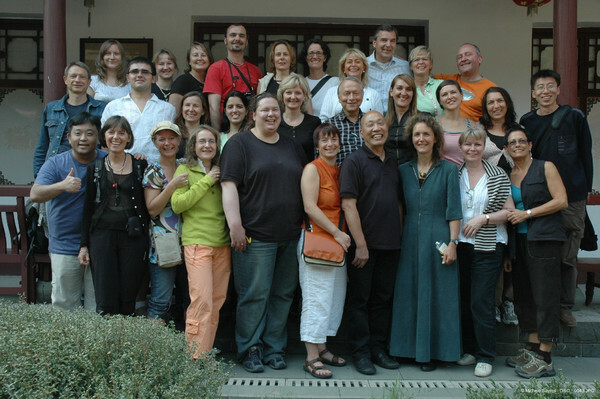 A couple of phots from our 2007 China Feng Shui Study Tour, showing a happy group and what it is like eating each daylike having a 12 Course meal 3 times a day!